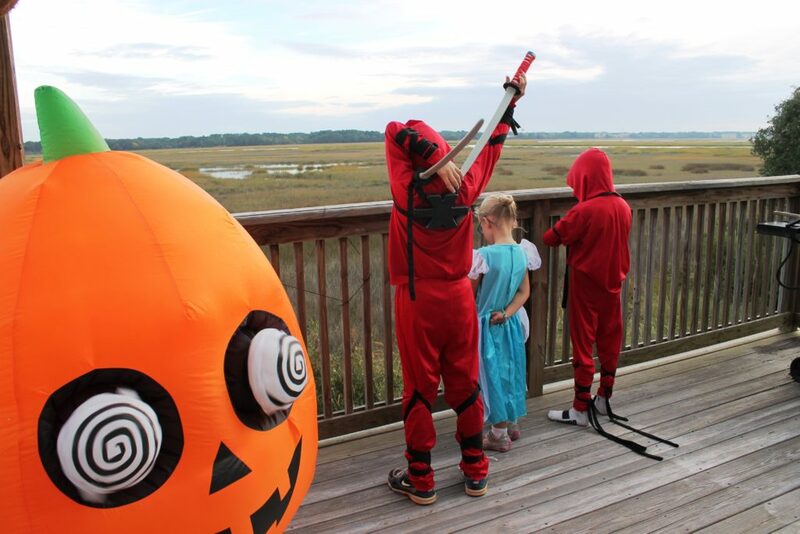 I was looking back over old Halloween pictures this morning and had to laugh. 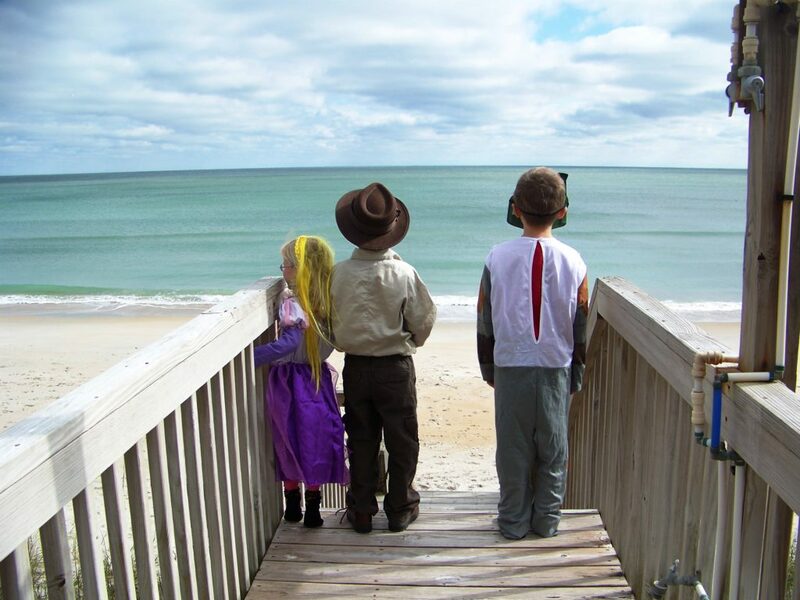 Years back, my kids spent weeks debating over costumes, who to be and what specific pieces to wear, which accessories to make and which to buy. For years, we were all about action heroes and princesses, ready to brighten the world with our existence. This year, the boys each picked up a black cape for their costumes. Neither can seem to pinpoint, in any sort of intelligible way, who or what they are in these capes. So I’m going to call their ensembles “The Morbid Collection” and leave it at that. Baby-Girl has waffled for the last two months about what to be, her only certainty the fact that she likes none of my suggestions. Last night, in a panic, she dragged LCB to the store to hunt for ideas only to be repulsed by the mosh pit of customers, all also in last-minute panics, swarming all the costumes. 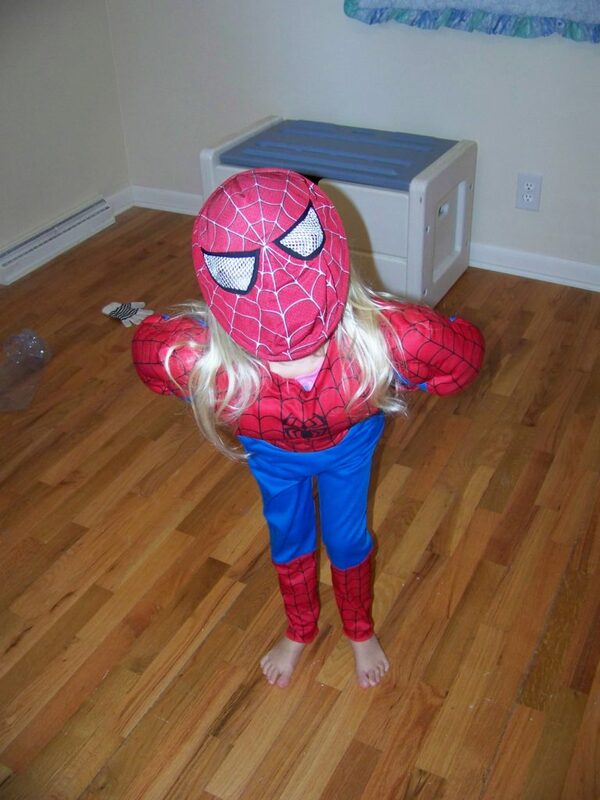 As of this morning, when she left for school, she was still vague about her costuming plans. 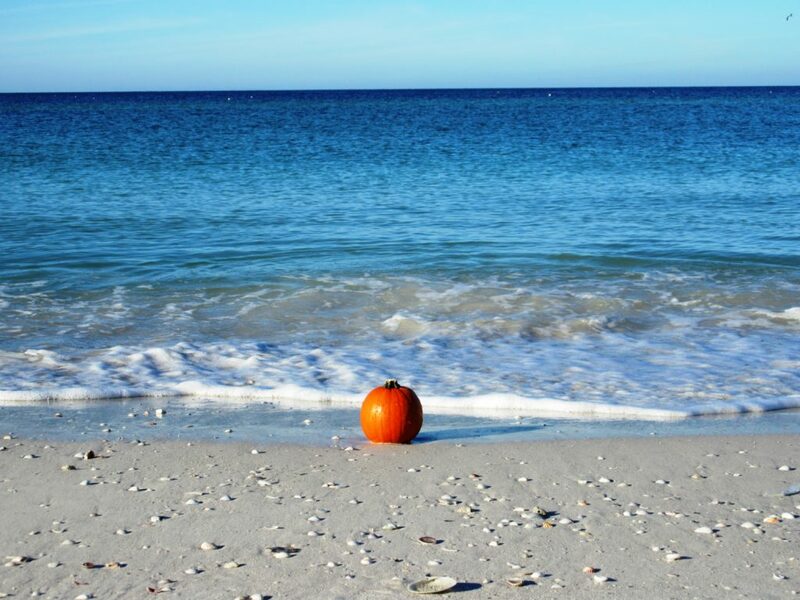 So, having no idea what will walk out of my house tonight holding bags designed for maximum candy acquisitions, I’ll leave you instead with a picture of a pumpkin on the beach. Because when in doubt, y’all.